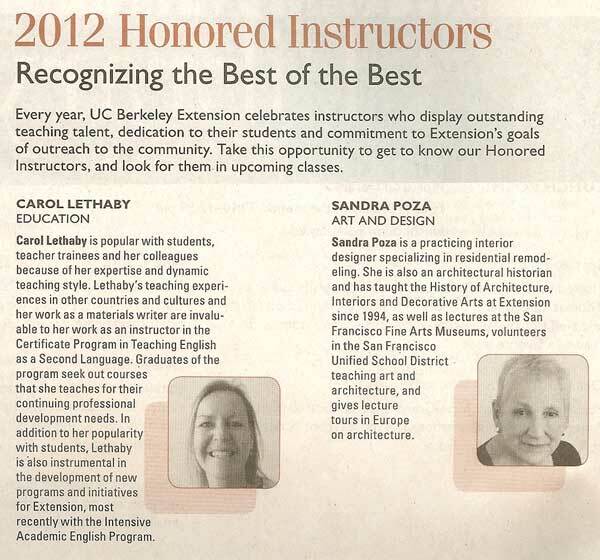 I'm an honored instructor at UC Berkeley Extension where I teach on the Certificate in Teaching ESL/EFL. I'm a part-time assistant professor on the New School online MA in TESOL. I co-wrote two of the classes on the program with Jeremy Harmer and we usually co-teach these classes. City College of San Francisco receives groups of teachers from Brazil, China and Korea and I have had the opportunity to work on teacher development programs there.